A healthy lifestyle for any active and busy pup will require a healthy diet. Ruckus is hardly a picky eater and will eat all varieties of food placed in front of him. As pet owners, we know that this makes it especially important to monitor the product intake and consumption. In our research, we have recently learned about small batch foods. We've heard of small batch foods when it comes to human foods, but agree with merging the idea with the production of dog food as well. 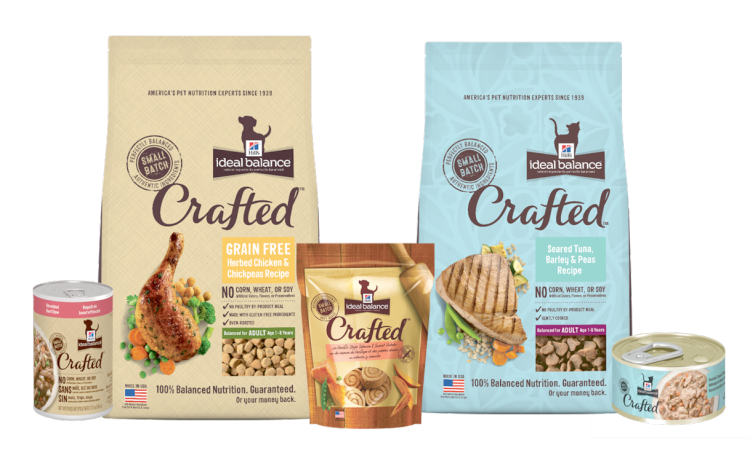 Hill’s® Ideal Balance™ Crafted™ introduces the idea of small-batch style to the pet food level.This process includes high-end healthy human food with newer cooking processes (e.g. oven roasting dog dry kibble to give the extra texture that dogs love). The bonus of these small-batch production is that it will help slow down the process to ensure high quality and consistency.